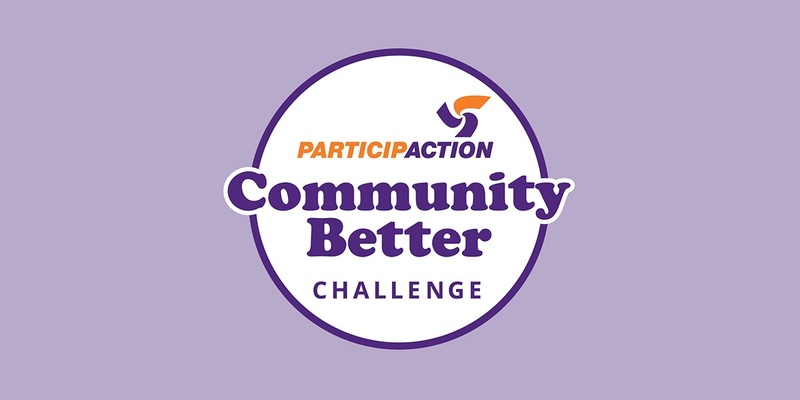 The ParticipACTION Community Better Challenge is bringing communities from across Canada together with physical activity! Your community could win $150,000 to go towards physical activity initiatives and be crowned Canada’s Most Active Community. Five regional winners will also be recognized and will receive $20,000 each to support local physical activity initiatives. All you have to do is track your physical activity minutes between Friday, May 31 to Sunday, June 16, 2019 through the recently released free ParticipACTION app or through the ParticipACTION website. Your minutes will be counted towards your community’s total score. Learn how your community can get involved with the Community Better Challenge. To help Canadians get active, Community Better micro-grants between $250 and $1,000 are available for municipalities, schools, sport and recreation organizations and community groups to host programs or events between May 31 and June 16, 2019. Grant applications are due Friday, March 1, 2019. Apply for a Community Better grant. For even more incentive to get active, the new ParticipACTION app gives users chances to win from over $20,000 in prizes like an all-inclusive vacation, gift cards and more. Download the free ParticipACTION app.